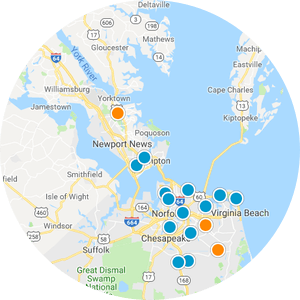 Search homes for sale in Virginia Beach, Norfolk, Chesapeake, Portsmouth, Suffolk, Hampton, Newport News, Yorktown, Williamsburg, VA as well as those available in Northeast North Carolina. Search All Available Area Real Estate Here! 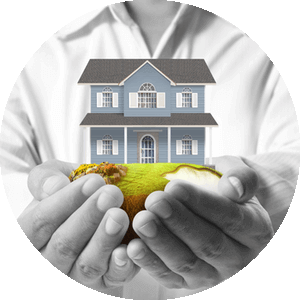 Our website features the best real estate search for single and multi-family homes, condos, land and foreclosed properties currently available, and is updated every 15 minutes to provide you with the most up-to-date data. Save properties of interest to you, get daily email alerts of new listings which match your search criteria. You can also view market activity including price changes on properties currently for sale, data on properties sold data as well as market reports. Using the Interactive Map Search option, you can specify the area you desire to be in and view properties available in that area. 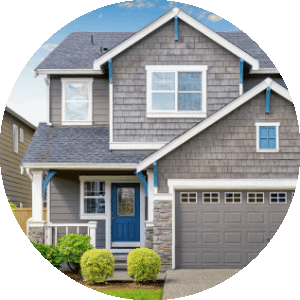 It's wise to know what’s happening in your neighborhood, so our create a custom market report allows you to see properties currently available for sale as well as the parcels under contract and sold in your neighborhood. If you are considering selling or refinancing your home, get an INSTANT PROPERTY VALUATION RIGHT NOW! NEW ROOF! NEW CARPET! Fresh Paint! Move In Ready! Garage converted into a huge living space. Outstanding location in Pecan Gardens off of S. Rosemont Rd.